Our Innovation Grants programme is currently closed, with no expected change expected. 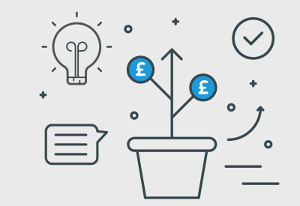 We have funded 32 innovative debt advice projects between 2011 and 2018 - aiming to improve the quality and range of money advice in the UK. Please access free project resources here. Citizens Advice Manchester - WhatsApp project: The project has utilized WhatsApp as a platform for debt and money advice, supporting people through direct enquiries and follow-up debt support. Resources have been produced to allow organisations to adopt WhatsApp as a channel for debt advice. Mencap Liverpool - Easy Money (#easy£): The project has supported people who have mild learning disability (PWLD) and/or on the autistic spectrum, through a user informed workshop programme, Easy-read factsheets and 1-2-1 support. The Mary Ward Legal Centre - Enabling clients with English as a Second or Other Language (ESOL) to improve their financial health. The project has produced resources to help frontline agencies working with people with ESOL. Behaviour Change - Nudging by Design: The project produced a suite of engaging materials inspired by behavioural economics that can be used by debt advisers to help their clients tackle debt and improve their financial health. Stockton & District Advice & Information Service - Get in Quick: The project supported families with young children get the money advice and support they needed to ensure financial stability as early as possible. This was achieved by having a part-time money adviser work alongside midwives / health visitor’s teams. Starting Point - Wallet Watchers (also funded in 2015/16): The project helped young people understand and address their financial issues, change their spending habits and make more sensible financial decisions through workshops and peer support groups. Hyde Plus - BE:Secure (also funded in 2015/16): The project worked with residents of Hyde Housing association who have been shown to be most vulnerable to eviction (new tenants who are under 35 years old), through the support of a money adviser. Changeworks - Cosy carers: Helped to build carers’ skills and confidence to tackle fuel debt, delivering support through monthly surgeries and ‘switching labs’, quarterly energy saving and billing workshops, and home visits as required. DeafPLUS - BSL Helpline for deaf people: The project launched a British Sign Language (BSL) helpline for deaf sign language users, using internet video platforms (FaceTime, Skype and Google Hangout). Bristol Debt Advice Centre ‘Talking Money’ - Future Money: Created a toolkit that can be used by other agencies to develop a holistic debt and financial capability service, and refined their 1:1 client work. Liverpool Central Citizens Advice Bureau - A Sense of Money: The project employed a financial capability worker to support D/deaf people and people who are blind or partially sighted through one to one and group training sessions. Maryhill and Possilpark Citizens Advice Bureau - Reducing Homelessness Strategy: The project designed / delivered a course to train 20 volunteers to represent people facing court action regarding rent arrears and were placed in CAB centres. The Haven Wolverhampton - Digital learning for financial stability: The project designed a financial capability workbook ‘Moving on through economic empowerment’ and sessions to support over 150 women. The main focus of the project was to extend the financial capability sessions to design, develop and launch a digital game, where learners build confidence reacting to real life situations. Calderdale CAB - Troubled Families Support Project: The project linked into the Troubled Families Agenda, supporting 475 families in Calderdale, allowing fast-track referrals for money advice and provided initial debt advice, alongside financial capability training, and on-going telephone support. Age UK Camden - Act Now: The project supported older people who are private sector tenants and older leaseholders to undertake partnership work in developing good practice in this area. The project developed eLearning, a leaflet for tenants and set up a direct referral system between landlords, managing agents and AUC.